he student will not know which questions count towards the final score and which do not. The final score will be within the 300-700 range. Candidates must receive a minimum score of 555 to be successful. A candidate may re-take the test if unsuccessful, but must wait 60 days to retake the test. Before taking this assessment, a candidate must have fulfilled the academic requirements of classes, clinical work and mandated paperwork, which must be finished and accepted prior to the exam. If the test is being retaken and the candidate’s clinical verification was completed in the same year, the candidate does not have to go through the approval process again. If it has been more than a year, the candidate will need an updated clinical verification. 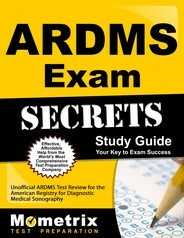 Ace the ARDMS test using our ARDMS exam study guide with practice questions. 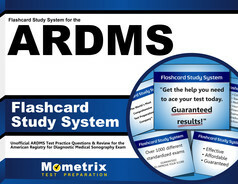 Quickly Solve Difficult ARDMS Test Questions with the ARDMS Flashcard Study System.